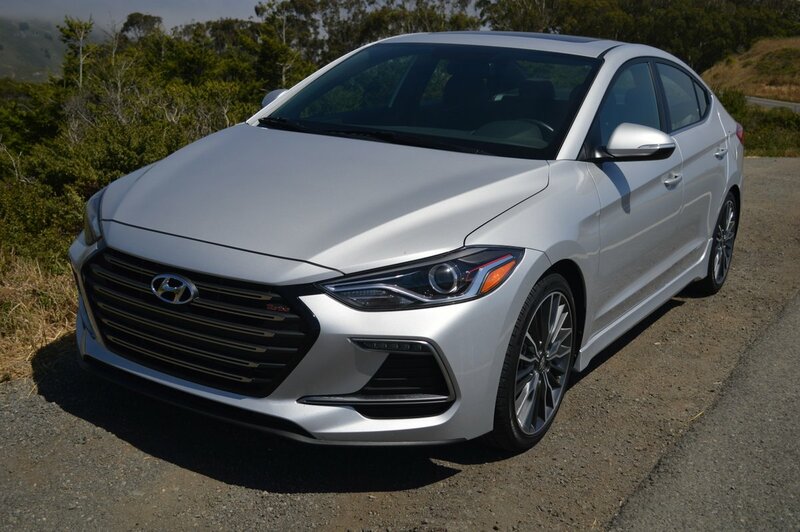 Hyundai has comprehensively redesigned the Elantra sedan for 2017. In particular, the Sport model we drove features a package of visual enhancements that distinguish it from all lesser models. 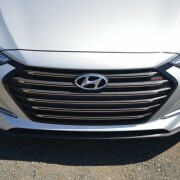 Hyundai stylists have cleaned up the front end by better integrating new HID headlights into streamlined fender caps. They’ve also added a model specific Sport grill featuring a large one piece hexagonal opening. 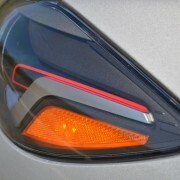 New LED driving lights meld into slits flanking the central radiator intake. 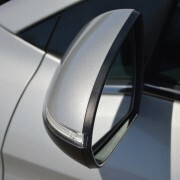 The sedan’s side profile gains sleekness from a higher, more prominent character line that stretches from front to rear wheel wells. 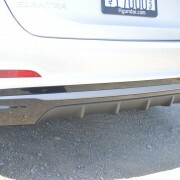 At the tail end, a lower valance diffuser enhances both the appearance and aerodynamics of the Sport model. 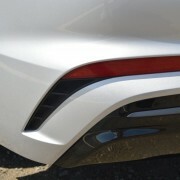 The valence incorporates a pair of chrome tipped exhausts on the passenger side of the panel. New LED tail and stop lights complete the rear redo. But the Sport’s attributes are much more than skin deep. Stunning 20 spoke 18 inch diameter alloy wheels mount Hankook Ventus S1 Noble2 tires measuring 225/40R18. Under the hood of the Sport lies the most important component of the entire exercise: a 1.6 liter turbocharged in-line 4 mounted sideways, with double overhead cams and direct injection. 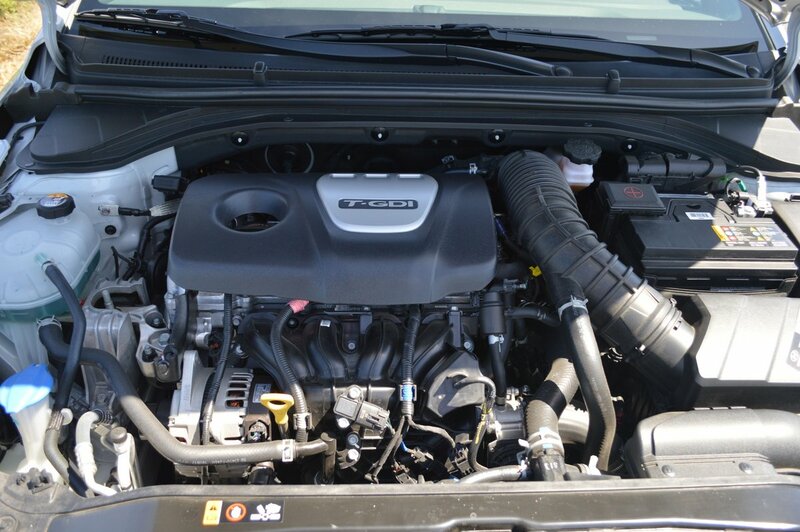 This highly sophisticated engine produces 201hp and 195lb.-ft. of torque. 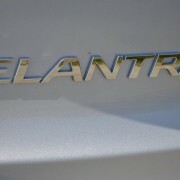 That’s by far the most power available in the Elantra line, which consists of three other lesser engines (128hp, 147hp and 173hp). 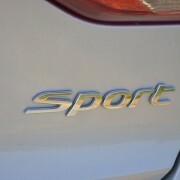 Our test Sport fed its abundant thrust through a 6 speed manual transmission that proved delightful to operate. The Sport is exceptionally quick in a straight line, with sub-7 second runs to 60mph from a standing start easy to achieve. 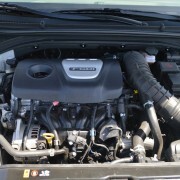 The engine comes alive over 3000rpm, and can be safely twisted to redline at 6800rpm. 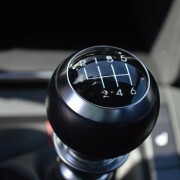 6th gear is well chosen for freeway romps, pulling just 2500 quiet rpm at 70mph. But the strong point of this Hyundai is not its ability as a drag racer, rather its utter composure as a twisty road master. 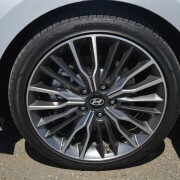 The suspension is independent front and rear, with a sophisticated multi-link design in back that keeps the Hankook tires planted all the time. There’s a slight trace of torque steer from the front wheels when you pin the throttle wide open exiting a bend. But other than that predictable feedback, the Sport remains precise and predictable no matter how hard you thrash it through bends. The Ventus S1 tires are exceptionally sticky, belying their mid-range tread wear rating of 500. 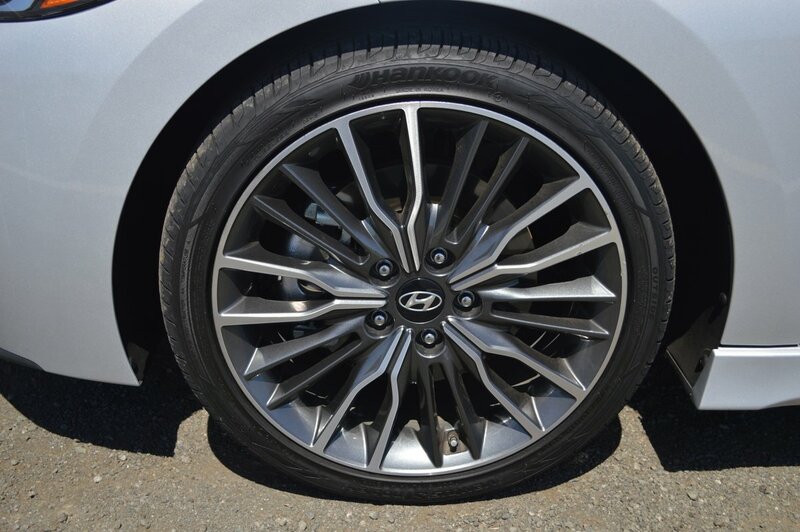 Overall, this car’s performance behavior is outstanding, with the added benefit of upsized disc brake rotors to help it stop extra short. 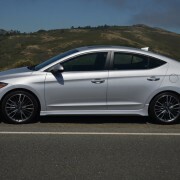 You can comfortably order a base model Sport for just $21,550. 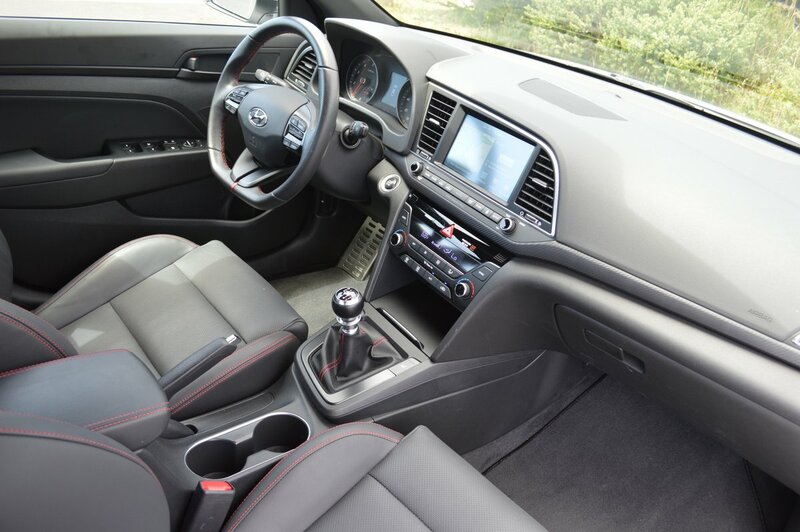 As is the custom with press evaluation vehicles, however, our test Sport included a $2,400 optional Premium Package which added an 8 inch Navigation screen and system to the base car’s standard 7 inch screen without Navigation. 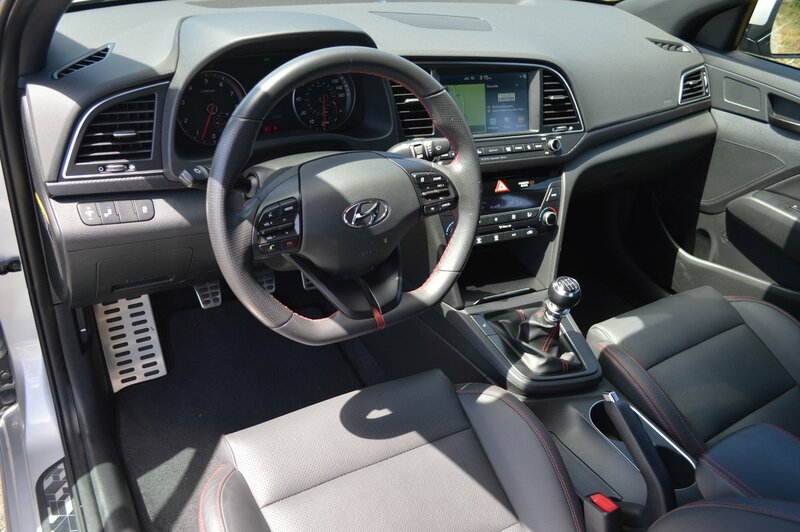 This option group also adds a power sunroof, blind spot detection with rear cross traffic alert, dual automatic temperature controls, and a boosted stereo system with 8 speakers and a center channel subwoofer. That’s 2 more speakers than the standard issue audio system, plus that thumping base to keep your ears vibrating. 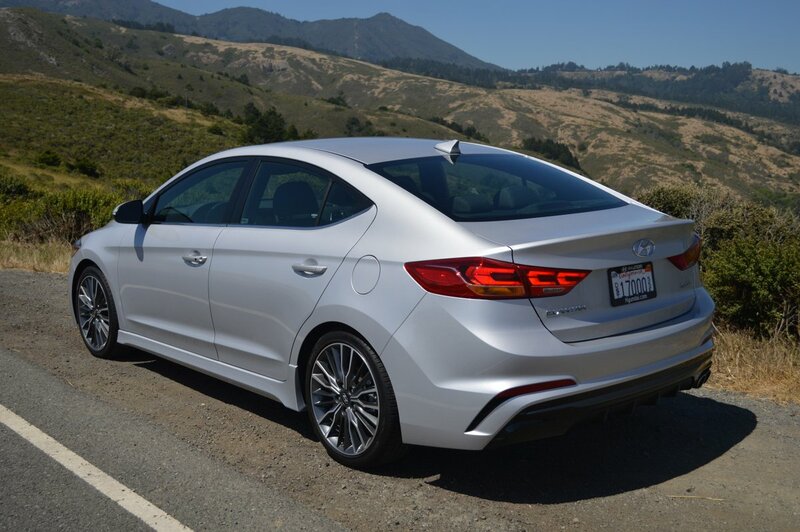 This is one sport sedan that lives up to its billing. Take the seats and steering wheel, for example. 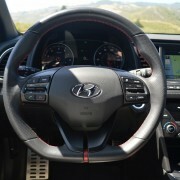 The wheel is a work of art, with its flat bottom, indented pistol grips, and red stitching. 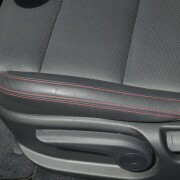 The front seats offer tremendous lateral support, and sport double red stitched bolster seams. 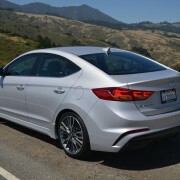 Lately I have been driving a plethora of so-called “sport” sedans from various manufacturers that are sporty only in looks, not performance. 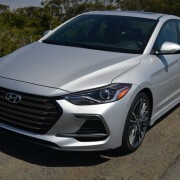 Hyundai has taken the challenge of building a real sport sedan quite seriously here. 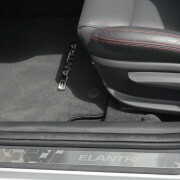 This Elantra will run the socks off a wide variety of much more expensive Asian and European “sports” sedans. 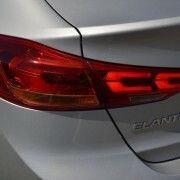 The Elantra Sport is without question the best of this pretender filled bunch when it comes to go and handling. 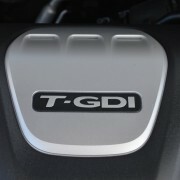 In fact, the only real challenger for this car is the VW GTI, which is substantially more expensive and less reliable. 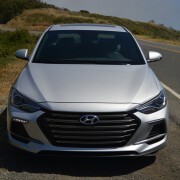 Consumer Reports blesses the new Elantra with a “Recommended” check mark and predicts that its reliability will be “Better than Average.” So if you want to have your go-fast cake and eat it too, give this super bargain sleeper one hard long look. 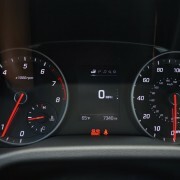 2011 Dodge Avenger Mainstreet Review - More than just a rental car?